Joe Flood - Page 2 of 68 - writer, photographer, web person from Washington, DC. When I was looking for a job, Switchers by Dr. Dawn Graham was the most helpful book I read. You don’t have to stay in the same position forever. Nor do you need to remain in the same industry. You can change to something new. Your skills are transferable, no matter where you are in your career. While a career switch can seem like an impossible chasm to cross. Graham breaks it down into small, achievable steps. The first task is to figure out where you are now. What is your role? What is your industry? What do you like to do? And what do you want to do next? Switchers can get you to that next place by showing how to translate your experience into something new. The book is filled with real-world stories of people who have successfully switched jobs and industries in search of meaningful work. What kind of switch do you want to make? Do you like your industry but want a different role? Do you want to do the same job in a different industry? Or do you want to swap your current job and industry for something completely different? The secret is to design your resume around what you want to do – not what you’ve done in the past. Focus on where you’re going, not where you’ve been. Apply for fewer jobs. When I was job-searching, I followed the traditional “spray and pray” approach. I’d apply for everything, even jobs I knew weren’t suited for me. It’s more productive to aim for a specific job title and industry. Spend your time on quality jobs that you want to do rather than the temptation of clicking “submit” on endless job postings. Try to stay out of the resume pile, Graham advises. While everyone seems to recognize that the hiring system is broken, with managers overwhelmed by resumes and applicants ghosted by employers, I don’t see an alternative, at the moment. It would be nice to think that you can network your way to something new but most people I know find new jobs through old-fashioned applying. Graham also includes helpful tactics to convince skeptical employers to shelve their assumptions about career switchers. This is the biggest barrier for switchers but, as a hiring manager, wouldn’t you want someone enthusiastic about joining a new field? In my job search, I ultimately ended up in the same role and same industry. I’m a digital communicator for government agencies. Thanks to Switchers, however, I know that my experience is transferable. Life is too short for a job you hate. Use Switchers to make a daring career move into something more satisfying. Hard to believe that we’re a nation that puts children in cages. 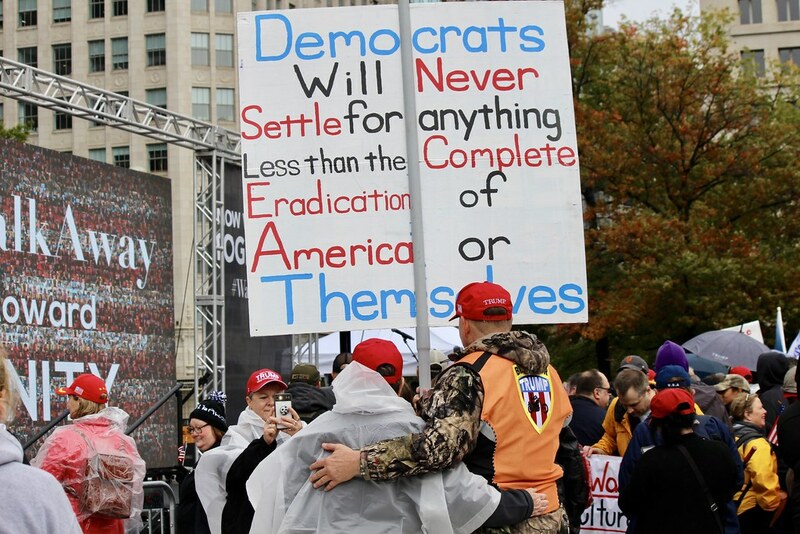 But we do every day at the border. The Trump administration tried to hide the child separation policy from the public, knowing that it was cruel even for this cruel age. Despite statements from the Department of Homeland Security, families are still being separated. 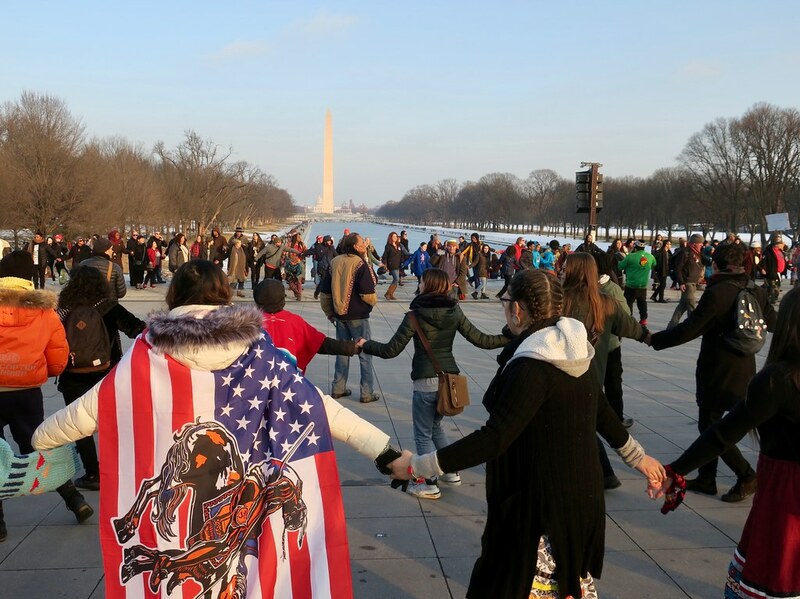 Americans have hit the streets in protest. With my camera, I’ve documented those protests in Washington, DC, from the White House to DHS headquarters. I want future generations to know that we protested this crime against humanity. Now, my photos have been put to music in a new song called Cages by Flo Anito and Seth Kibel. A rough version of this song received an Honorable Mention from the Mid Atlantic Song Contest. This version was recorded at American University and Asparagus Media and will be released on an upcoming EP of original protest music. Flo Anito has toured Europe and appeared on DC’s biggest stages: Strathmore, Wolf Trap, Merriweather Post Pavilion, the Birchmere, Blues Alley, the Fillmore, Hamilton Live, and Bethesda Blues & Jazz. She’s a clever songwriter with a unique voice and a sense of social mission. Seth Kibel has been wowing audiences on saxophone, clarinet, and flute for more than a decade. Winner of 28 Washington Area Music Awards (Wammies), his most recent recording, Seth Kibel Presents: Songs of Snark & Despair, features an all-star cast of vocalists and instrumentalists from throughout the Mid-Atlantic region. Only three miles long, the Orlando Urban Trail packs in art, history and food as it navigates a city few tourists see. The trail starts at the edge of downtown Orlando, just off Magnolia Avenue and Lake Ivanhoe. From there, it follows the path of an old railway, the Dinky Line, which used to ferry students to Rollins College in Winter Park. This green corridor is preserved because the line was used into the 1980s, not by students, but by businesses, including a lumber yard on Mills Avenue. 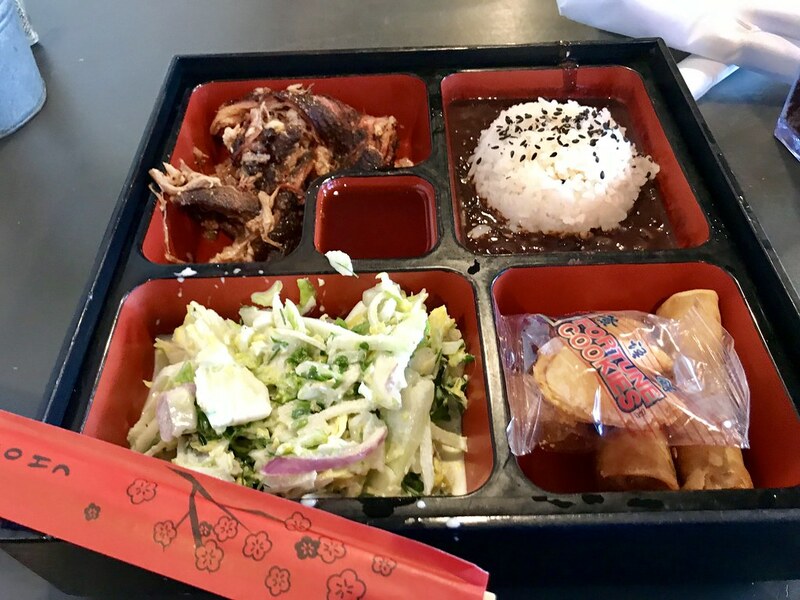 After going by a brewery, the trail parallels Mills, which is Orlando’s hipster district, home to the once-and-future dive bar Wally’s and the excellent Pig Floyd’s, where I had a pork bento box for lunch. Around mile 1.5, the trail reaches Loch Haven Park, home to museums including the Orlando Science Center and the Mennello Museum of American Art. You cross Mills Avenue, ride along the sidewalk a bit, and then there’s a brief section on neighborhood streets where you wind your way between lakes and by some expensive real estate. Lots of signage – it’s impossible to get lost. 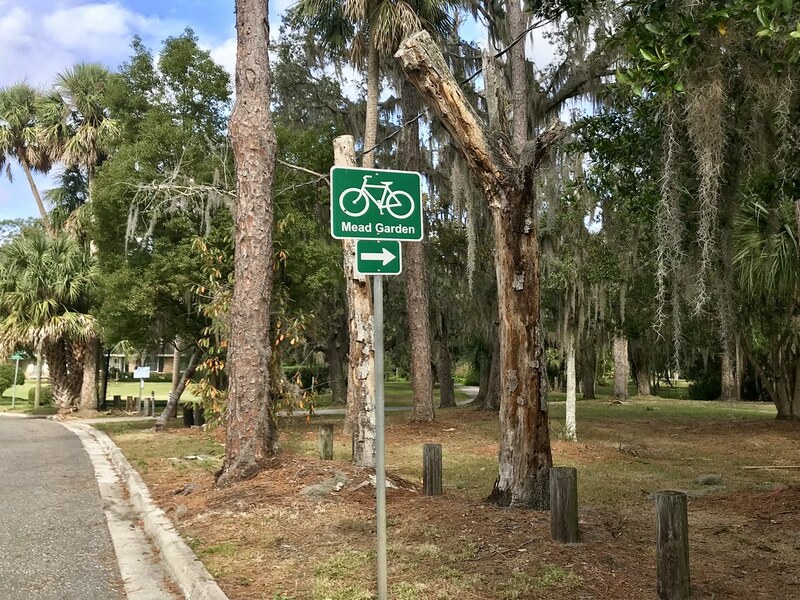 The trail ends at Mead Garden, a green spot in Winter Park which offers walking paths and a range of programs, including yoga. 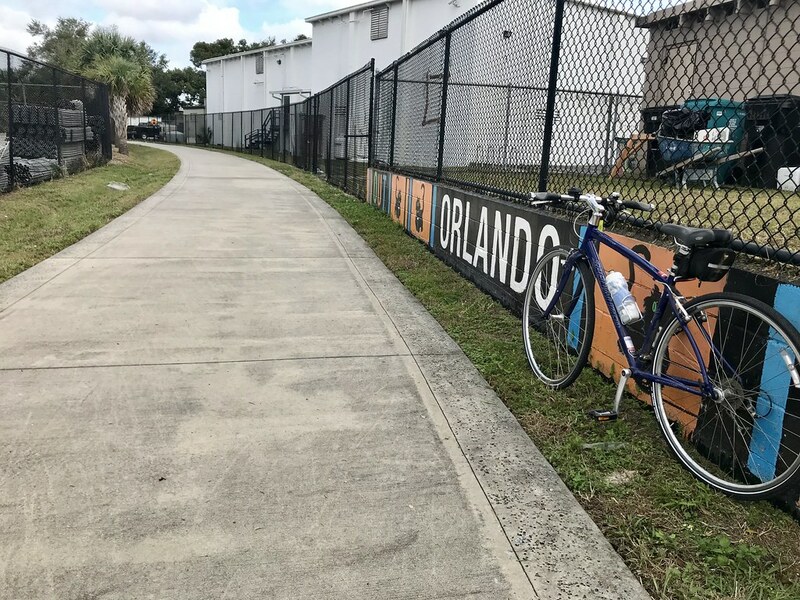 With nearly the entire trail protected from traffic, the Orlando Urban Trail is ideal for people of all ages. And with museums, parks and restaurants along the route, it makes a great urban adventure. What books did I read and not read in 2018? In a year of political turmoil, it was a time to find inspiration in novels. A book that stayed with me throughout the year was The Song of Achilles by Madeline Miller. No one writes better about the Greek gods than she does, presenting them as flesh-and-blood figures that are also undeniably strange, for they are immortal and we are not. Achilles is doomed to die, something even his divine mother cannot prevent. We see the hero struggle with his fate, as told by his lover Patroclus. Set against the backdrop of The Iliad, it’s a novel about embracing your destiny. What if we had a civil war and other countries intervened in it to prolong the agony? What if they picked sides and supplied them with arms like we do overseas? That’s the story of American War, set in the not-to-distant future, in which the country is consumed by war and environmental collapse. The Hunger was a surprise, a book I picked up at Carpe Librum, a great used bookstore in Union Station. For the Donner Party, the horror began long before they reached the mountains. 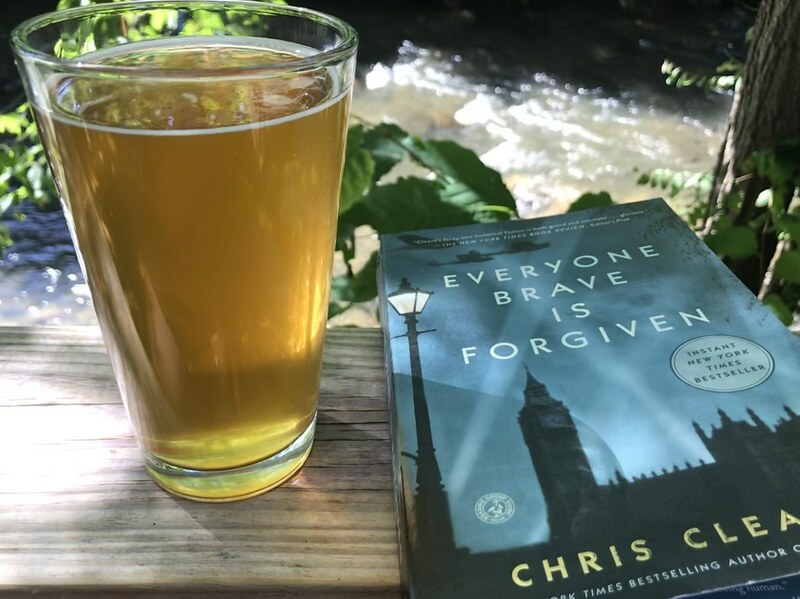 Everyone Brave is Forgiven is another novel about overcoming difficult times, this time the Blitz in London during World War Two. A moving book that highlights the sacrifices Londoners made during the darkest hours, when they carried on with no prospect of relief. A novel about resilience is In The Midst of Winter by Isabel Allende. It’s about people caring for one another despite the cruelty of governments. 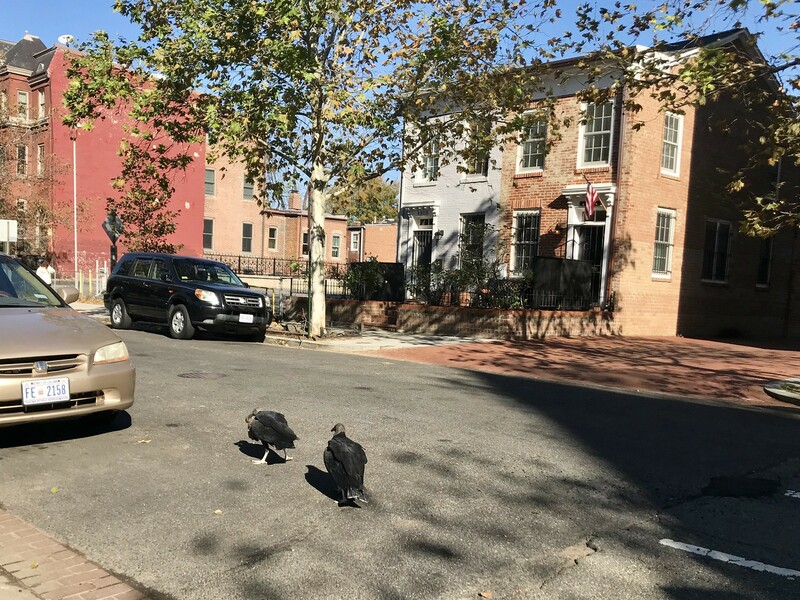 The Man Who Came Uptown is an ode to books set in Washington, DC. It’s also a crime story and a tale of personal redemption. Should be required reading for everyone who lives in DC. Another ode to books is The Library: A Catalogue of Wonders, a fascinating exploration of mankind’s best invention. War on Peace was a rare contemporary read for me. This account by Ronan Farrow of the hollowing-out of the State Department highlights the fact that the rot in American governance started well before the Trump administration. We’ve become a nation of perpetual war, with billions for bombs but little for diplomacy. Fire and Fury, the Michael Wolff gossip-fest released in January – remember that? Kramerbooks had it on sale at midnight and people lined up for it. Not me. Trump has been good for booksellers. There was the Bob Woodward tome. The Omarosa book. And then all the nonfiction works about Russian collusion, as well as a separate pro-Trump category for aspiring fascists. I did not read any books about the nascent dictator, rebelling against the idea of spending sacred reading time immersed in the horror. Instead, I took inspiration from fiction with tales of people finding strength in difficult times. Achilles embracing his destiny. The Donner Party surviving the unimaginable. An ex-con “going uptown” and leaving crime behind. Amid the daily chaos of the news, I found consolation in novels. 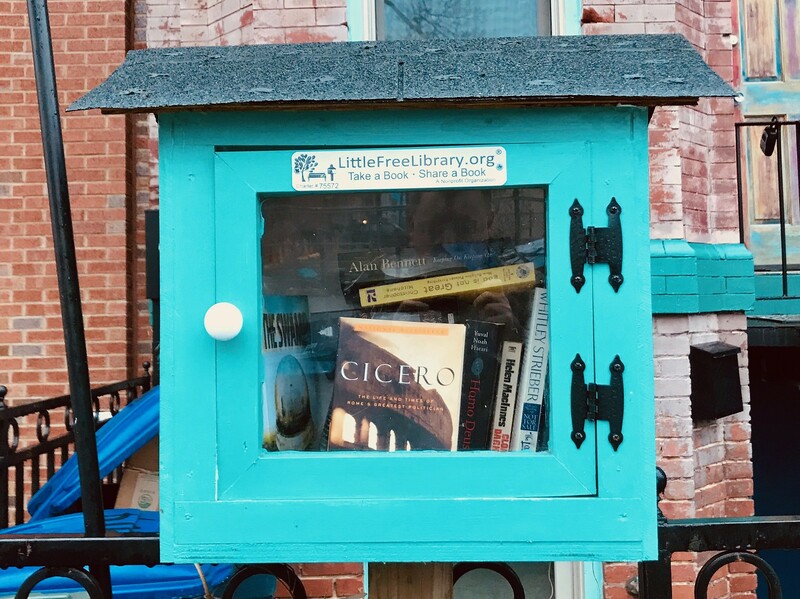 Little Free Libraries are little boxes of bookish surprises scattered around the world, like a real-life Pokemon Go, but for readers. Cicero: The Life and Times of Rome’s Greatest Politician was a serendipitous find, a biography I was interested in, but then forgot, until I saw it in the Little Free Library on N St.
With its marble-columned temples and soaring public spaces, Washington is a Roman city, one that Cicero would instantly recognize and feel at home in. He argued cases in the courts, led marches against the government and gave passionate speeches before the Senate. 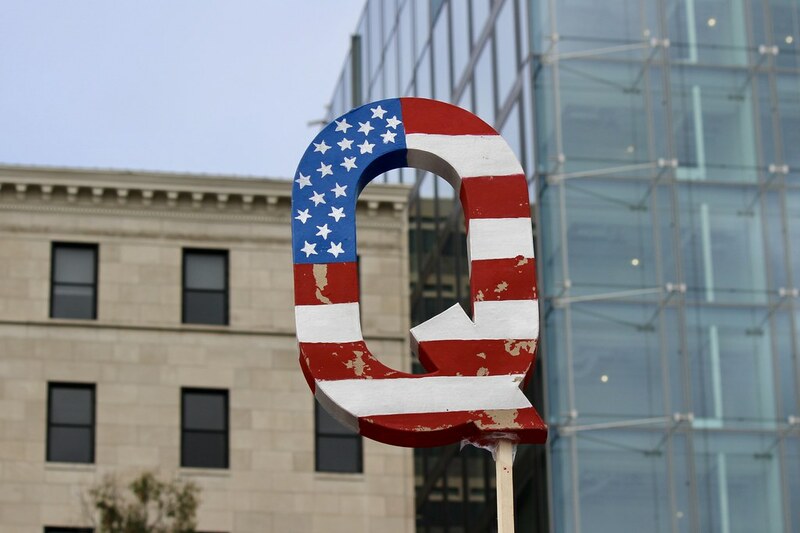 Our three branches of government, with its checks and balances, would be familiar to him, for they stem from Roman antecedents, our founding fathers inspired by Cicero’s failure to create something more resilient. He had the traitor executed. Democracy in Rome, as limited as it was, could not manage a rapidly expanding empire beset by financial problems and a military quagmire in the Mideast. Our troubles in the region would be depressingly familiar to Cicero. After uncovering the Cataline conspiracy, he was appointed governor of Cilicia, where he suppressed rebellious tribes in Syria. Ultimately, however, Cicero was just an orator. As Rome slid toward autocracy, first through the self-dealing Triumvirate and then the rule of Julius Caesar, he was warned to stay out of politics, a tale told in the interesting novel Dictator. But Cicero couldn’t stay out of the Senatorial limelight. While not part of the plot against Caesar, it was he who Brutus hailed as the dictator bled to death. Once Caesar was gone, Cicero tried to unify the Senate against Mark Antony and the Julian faction. A bloody civil war took place across the Mediterranean world of the Roman Empire, from Spain to Cleopatra’s Egypt. When it was done, Rome had an emperor: Augustus. A list was drawn up of enemies of the state. If you were proscribed, you could be put to death and your properties seized. Cicero was hunted across Italy. When soldiers caught him, he bared his throat so they could slash it properly, the gesture of a gladiator who meets his end nobly in the arena. Democracy was dead but Cicero’s legacy lived on. Much of what we know from the Roman world comes from the voluminous letters of the orator, many of which survived. He also was a key transmitter of Greek and Roman ideas and philosophy, which were rediscovered during the Renaissance. For there is but one essential justice which cements society, and one law which establishes this justice. This law is right reason, which is the true rule of all commandments and prohibitions. And weighing the lessons of Cicero, they produced the republic of checks and balances that we have today. Thanks to the ancient Roman orator, we have the means to resist a dictator. Ronan Farrow has done the impossible in War on Peace: The End of Diplomacy and the Decline of American Influence, creating a story about bureaucracy that’s compelling and relevant to our troubled times. In this account of recent American diplomatic history, he reveals how the State Department has been hollowed out by Democratic and Republican administrations alike, to the detriment of our national interests. Standing in for a robust, bipartisan American approach to international relations is the towering figure of Richard Holbrooke, who Farrow worked for at the State Department. He brought peace to the Balkans by literally locking squabbling leaders in a room. His mix of personal charisma, backed with American power, was indispensable in the Clinton era. But not for Barack Obama, who disdained this figure tied to his political opponents. While he was eventually called to serve, and given the hopeless task for bringing peace to Afghanistan, he was undercut by an administration under the sway of its generals. Foreign policy problems, like coming to some sort of accommodation with the Taliban, became military problems and handled with the same kind of counter-insurgency tactics that failed in the Vietnam War. Holbrooke lived long enough to see America escape one nation-building exercise, Vietnam, only to become embroiled in another one in Afghanistan. 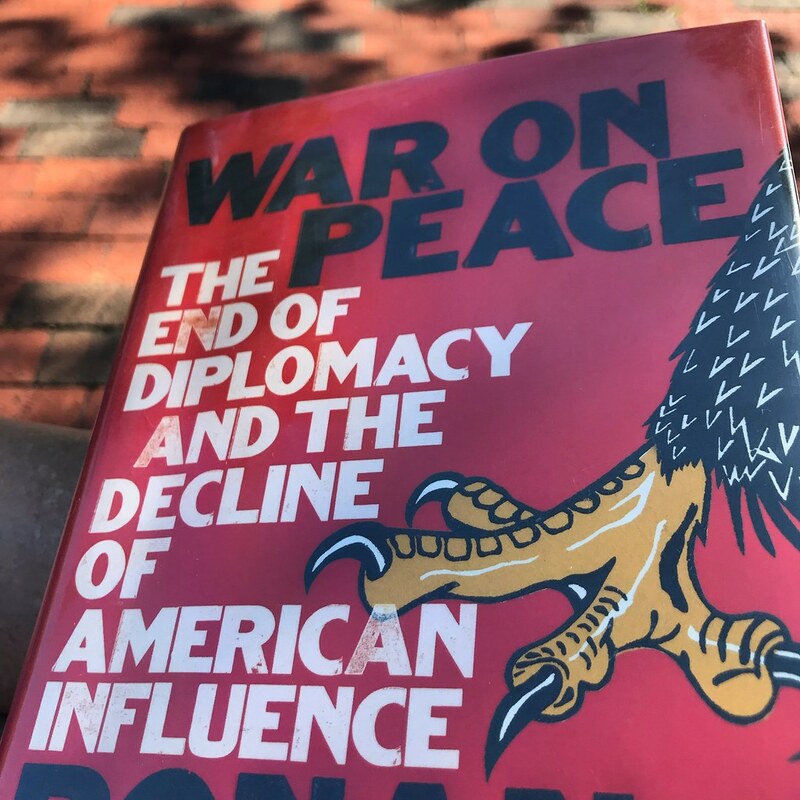 Farrow makes the case that America needs its diplomats in War on Peace: The End of Diplomacy and the Decline of American Influence. Sadly, the decline that began under Bush and Obama has only accelerated under the nationalist Trump. We don’t even have ambassadors in hotspots like Saudi Arabia, anymore. Instead, our country is represented by double-dealing members of the Trump/Kushner crime family, who are focused on personal profits rather than our long-term national interests. This would be an anathema to Richard Holbrooke and any of the giants that built the peaceful post-war world that we enjoy.